We have transformed the way people train and achieve results. Founder Coach Chris Campbell has developed our training system using his knowledge and expertise gained over fifteen years working with Olympic, professional and elite athletes and has assembled a team of leading coaches to create the ultimate training center. To be the leader in health and performance and build a stronger community one person at a time. Everyone is unique from goals to abilities. From personal trainers, to physical therapists and massage therapists, we have the team of experts to help you train, rehab and perform. 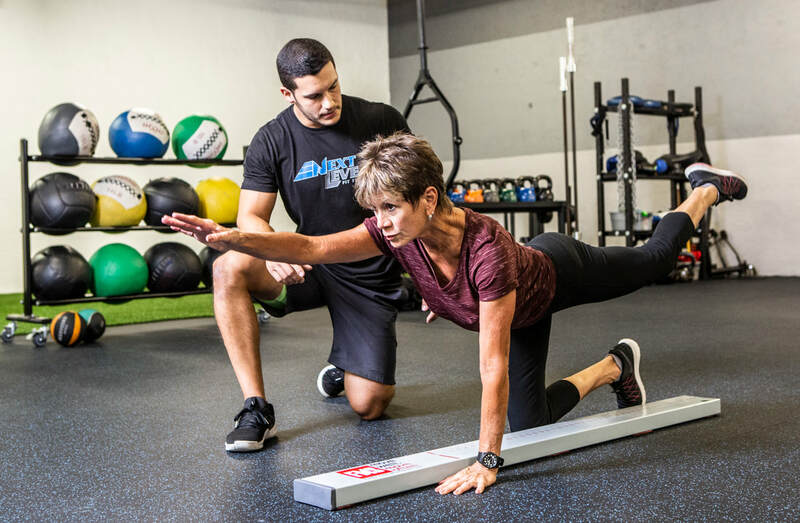 Professional athletes and grandparents alike, train with us to: lose weight, get out of pain, move better, build strength and improve their quality of life. ​ Our state of the art 5,000 sq. ft. facility boasts top of the line equipment. We utilize innovative technology throughout our facility including in our Treatment Room and Recovery Lounge. We offer multiple training options catering to every ability level. Our programs are designed specifically to reach your goals, educate and motivate, and get the results you desire. ​If you are ready to achieve results and experience the Next Level, make the commitment today that so many have made before you. From professional athlete to the beginner exerciser, our clients have changed their lives for the better.